Kanye West is without a doubt one of Chicago's greatest representers. We love to claim him and he loves to claim us. Thanks to Voyr, fans are getting an exclusive behind the scenes look at what it takes to do what he does. While on the WTT tour ..he and Jay Z stopped through his old stomping grounds to shed a little light on what it was like growing up for him. He took Jay to his childhood home and told him stories about his life there. Being that the city loves Jay too, crowds grew around the two as the walked around the home he grew up in. Kanye enlightened his fans on where his head space is right now. Kanye opens up a lot about his views of his purpose in music and how others should strive to be their best! He also shared how he has gotten a fresh wind of passion and excitement about what he does, and his earliest memories as an artist (grammar school). "..where Im at right now,is where I was when I was like 4 yrs. old. First like hitting a piano or stuff like that." 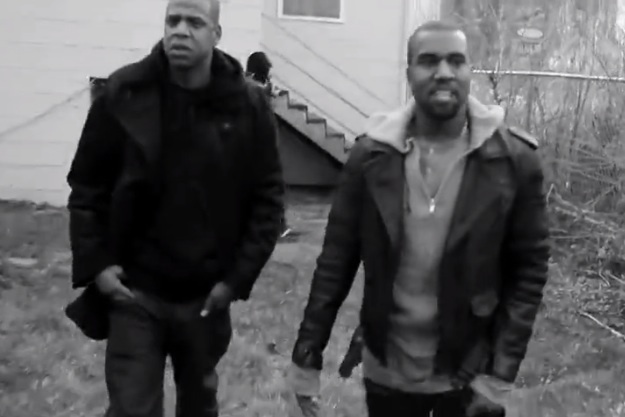 He actually took Jay down 79th as Jay rapped in Gotta Have It. The video shows some of Chi town culture as well. There is a feeling you get when in Chi...Ive felt it since I was a child and some how this video captures it.